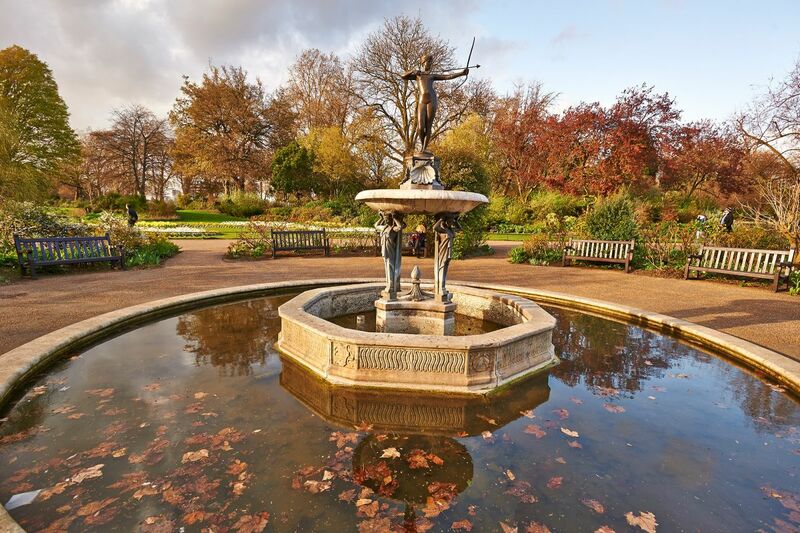 The Huntress Fountain, located in the Rose Garden, features a bronze figure of Diana, the goddess of hunting, shooting an arrow. 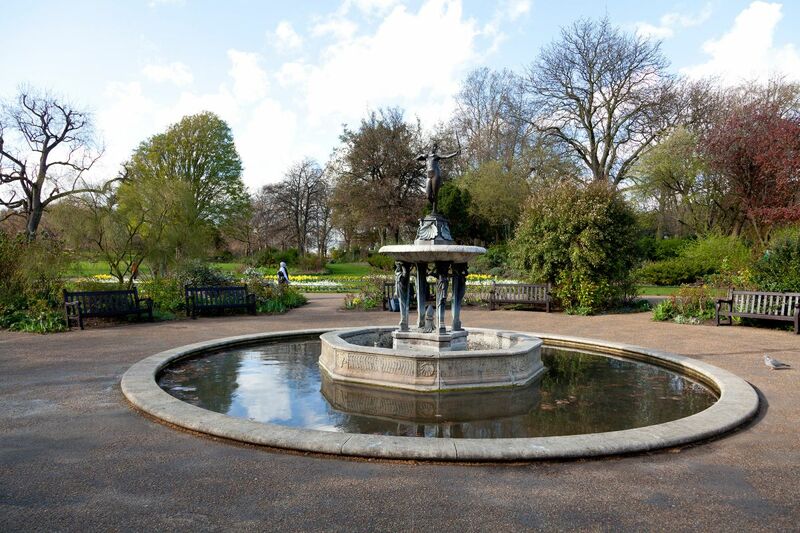 The fountain was installed in 1906 and made by Countess Feodora Gleichen, the first woman member of the Royal Society of British Sculptors. 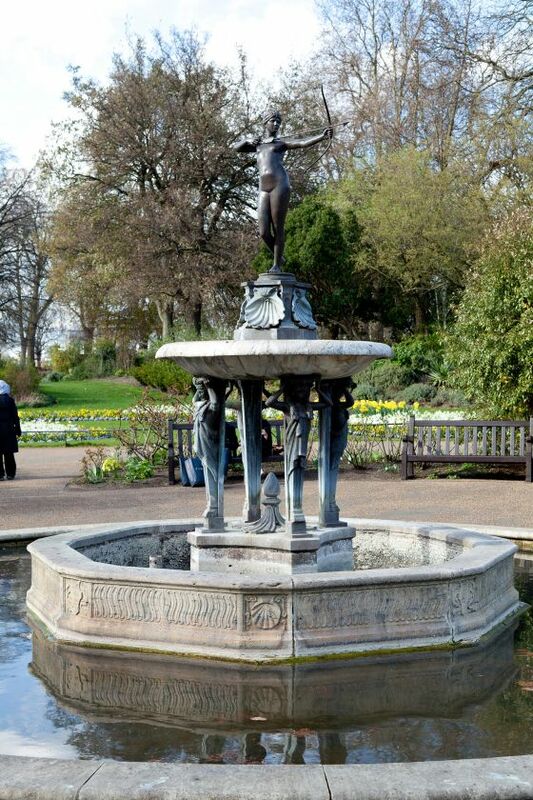 It was donated by Sir Walter and Lady Palmer.